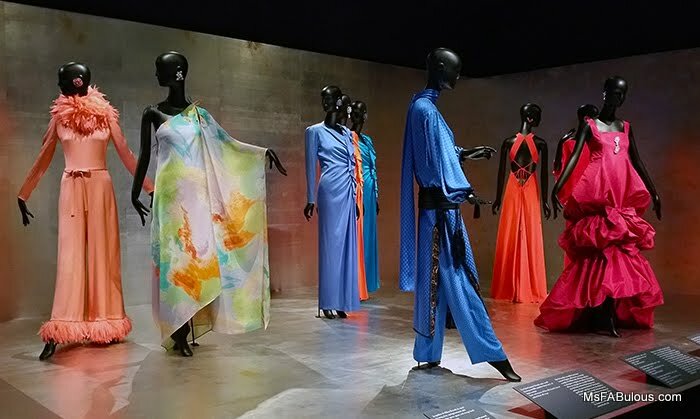 I treated myself to a morning with the latest fashion exhibit at the Metropolitan Museum of Art. Jacqueline de Ribes: The Art of Style was an interesting study of an actual Haute Couture customer and designer who actually designs for herself. 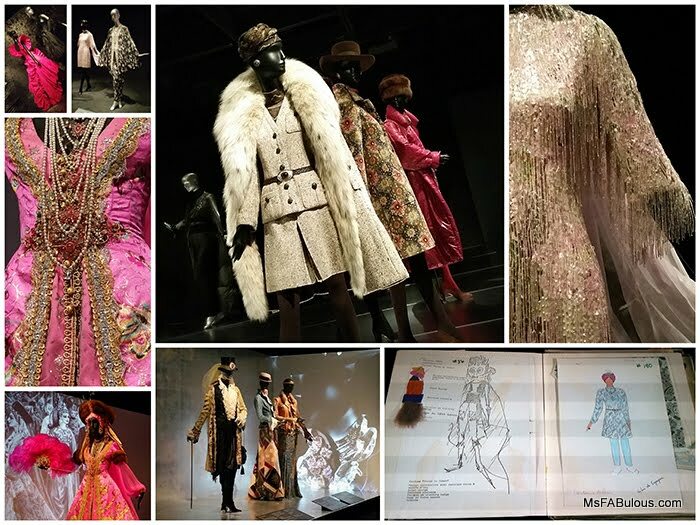 Many of the big costume institute exhibit at the Met is a retrospective around a theme or designer. It is celebrated for the artistic merit, detached from human beings who wear it. This was one of the first exhibits that showed the relationship between the designer and client. Jacqueline de Ribes was a countess and celebrated style icon. Leading couturiers of the 1960s like Yves Saint-Laurent, Valentino, Guy Laroche, Christian Dior and Emanuel Ungaro had a working relationship with her. Seeing her archives demonstrated how a customer buys from a designer at this level. She doesn't always buy the looks straight from the runway, she might collaborate with the designer to tweak it like remove the sleeves, order it in different colors, re-order pieces from past seasons. When each piece is handmade for you at this price point, designers are accommodating. Countess de Ribes wasn't going for the trendiest look. She preferred timeless flattering outfits. She loved sorbet bright colors, but also classic black and white for the evening. She became a fashion designer herself, clearly learning from the couturiers she patronized. Her own aesthetic was a combination of beautiful fabric drape and expert tailoring to the body. Each of her designs had a special detail that was the focus of the look. In observing the ensembles throughout the exhibit you can see these details in both her own work and the pieces she chose for herself from others. My favorite room was the one hosting three masquerade ball costumes. As only a countess could, the elaborate looks were cobbled together with chopped up Haute Couture pieces, fabrics and trinkets from discount jobbers and upcycled into fabulous period piece fantasy gowns. 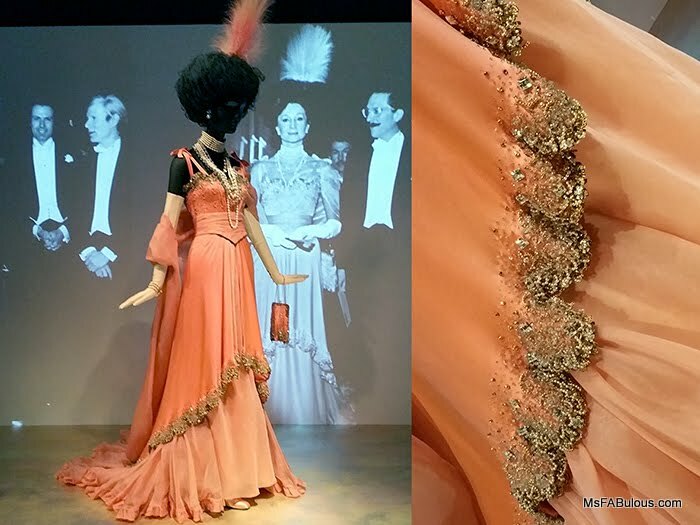 If you have ever wanted to imagine yourself as an aristocrat with the most fashionable life ever, the Jacqueline de Ribes The Art of Style exhibit might be the closest you'll get to that experience. Enjoy it until February 21, 2016.